Adopt a skeptical attitude not only toward ideas opposed to your own, but also toward our own views that seem to obviously right. 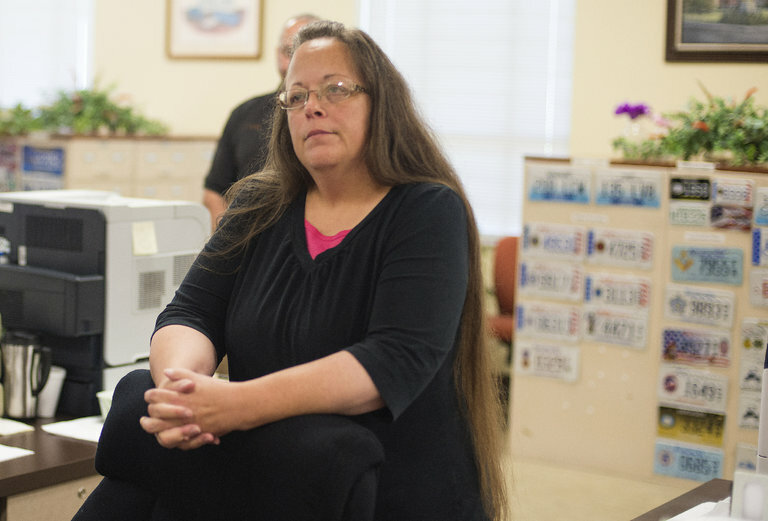 Kim Davis at the county clerk’s office in Morehead, Ky., in 2015. Since college can not prepare you for every possible issue you will face, it seeks to equip you with tools, methods, and habits of mind that enable you to confront arguments about any potential issue. Assumptions may be explicit or implicit, stated or unstated. Implicit Assumption: one that is not stated and often taken for granted. Explicit Assumption: a clearly stated assumption. What assumptions do you see in the issue? 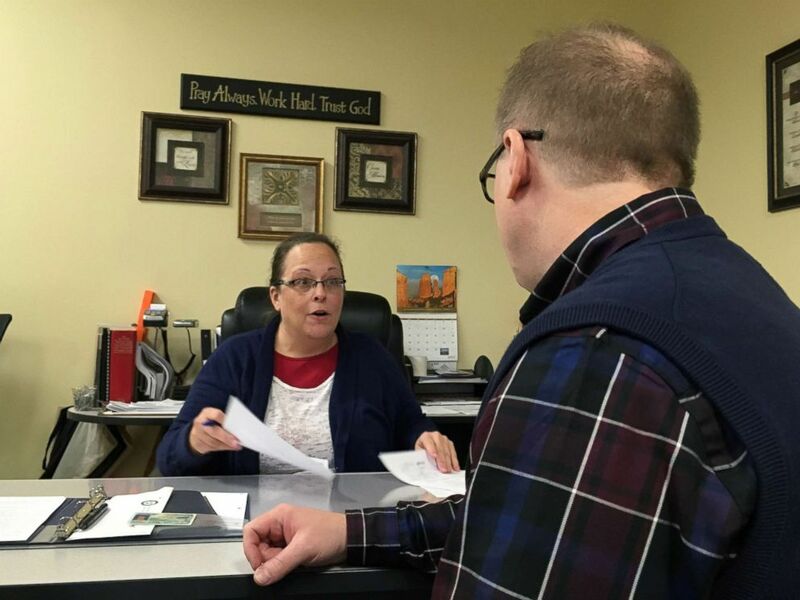 David Ermold speaks with Clerk Kim Davis as he files to run for Rowan County Clerk Wednesday, Dec. 6, 2017, in Morehead, Ky.
How have my beliefs been shaped from birth? A famous dictum apparently uttered by Socrates at his trial for impiety and corrupting youth, for which he was subsequently sentenced to death, as described in Plato’s Apology. What’s in the kit? Tools for sceptical thinking. What sceptical thinking boils down to is the means to construct, and to understand, a reasoned argument and, especially important, to recognize a fallacious or fraudulent argument. The question is not whether we like the conclusion that emerges out of a train of reasoning, but whether the conclusion follows from the premises or starting point and whether that premise is true. Wherever possible there must be independent confirmation of the ‘facts’. Arguments from authority carry little weight – ‘authorities’ have made mistakes in the past. They will do so again in the future. Perhaps a better way to say it is that in science there are no authorities; at most, there are experts. If there’s a chain of argument, every link in the chain must work (including the premise) – not just most of them. Always ask whether the hypothesis can be, at least in principle, falsified. Propositions that are untestable, unfalsifiable are not worth much. Consider the grand idea that our Universe and everything in it is just an elementary particle – an electron, say – in a much bigger Cosmos. But if we can never acquire information from outside our Universe, is not the idea incapable of disproof? You must be able to check assertions out. Inveterate sceptics must be given the chance to follow your reasoning, to duplicate your experiments and see if they get the same result.